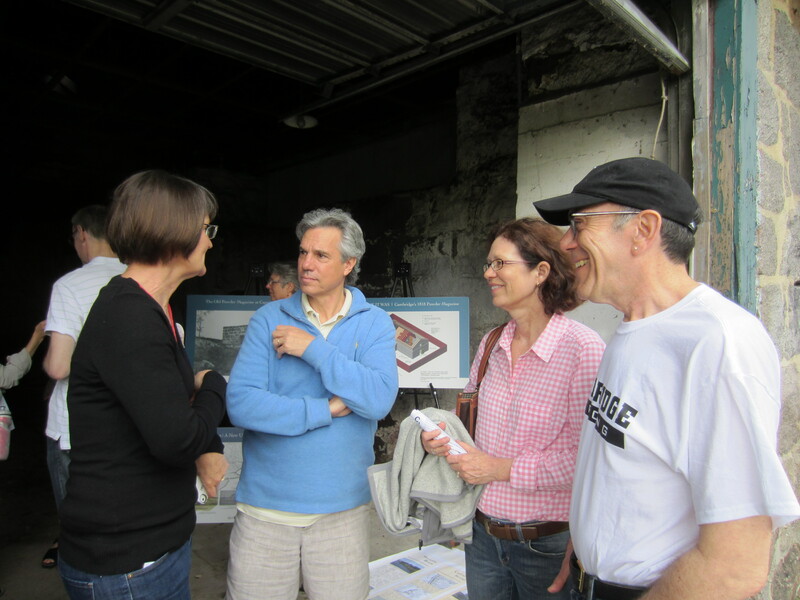 DCR’s Patrice Kish, and neighbors Eric and Lauren Spengler and Marty Blatt, discuss next uses for the powder magazine. Many thanks to DCR’s Patrice Kish for organizing this event and to Marilyn Wellons and Nina Cohen for being there to share the story of the building and site. 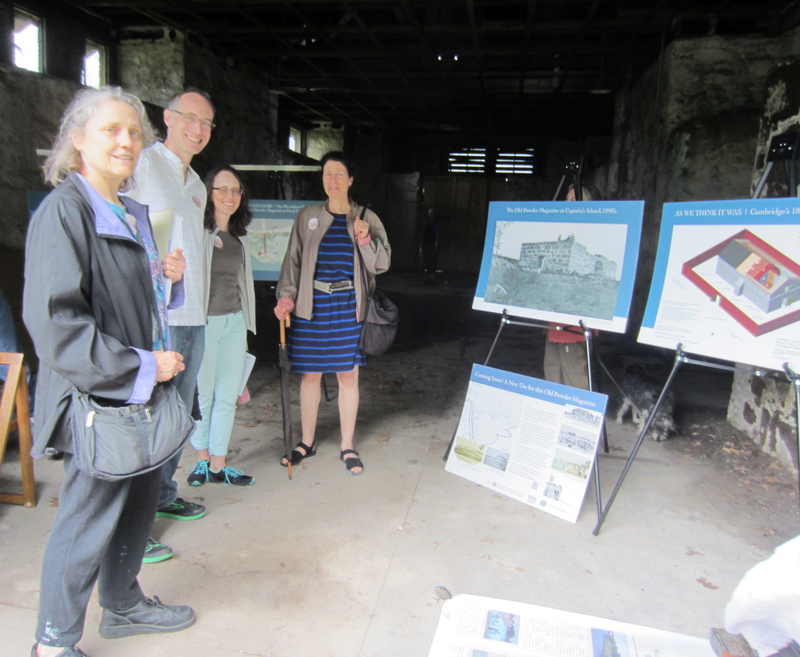 Remember to come to the Morse School (40 Granite St.) auditorium this Thursday, May 16 at 6:30pm for the presentation of the social and architectural history of the 1818 powder magazine and discussion of its next use. 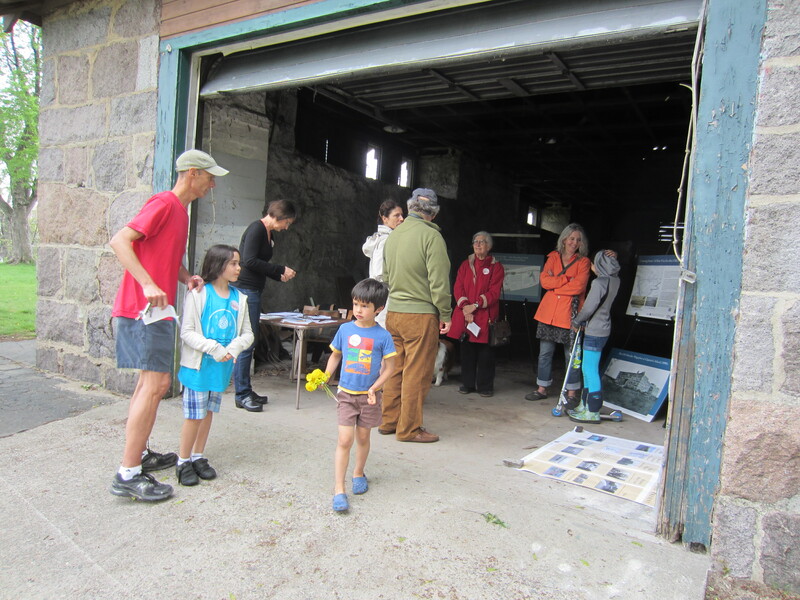 Learn about the rich history of the building and site and share your thoughts for it!